Happy Memorial Day weekend everyone!!! In today's post, I FINALLY have two of the comparisons I promised you awhile back. OPI Rally Pretty Pink next to Zoya Faye and OPI Spark de Triomphe next to China Glaze Medallion. One comparison will save you some cash, the other probably won't! Let's start with OPI Rally Pretty Pink and Zoya Faye. That's Zoya Faye on the left and OPI Rally Pretty Pink on the right. As you can see, they are very similar. Normal human beings would not be able to tell them apart (my mom couldn't). 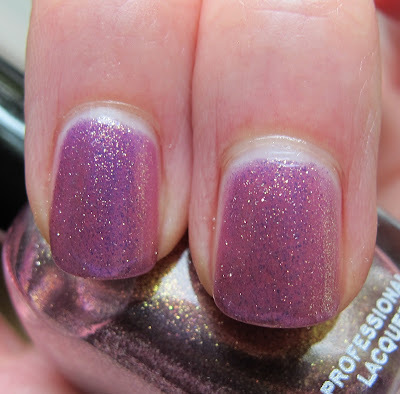 OPI Rally Pretty Pink is slightly more pink to Zoya's slightly more purple. 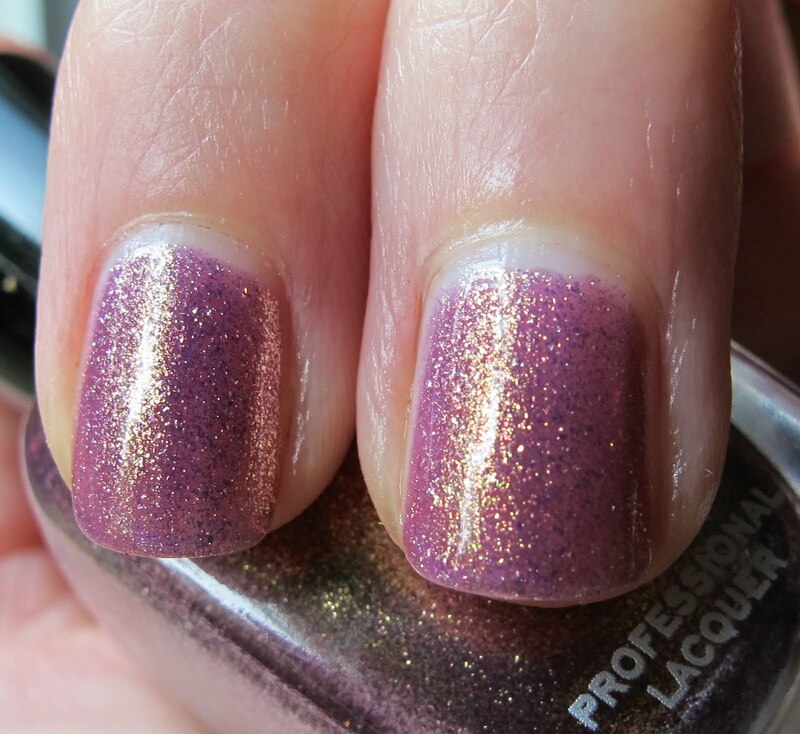 OPI Rally Pretty Pink also has more dense gold shimmer. I did two coats of OPI Rally Pretty Pink and three of Zoya Faye (although I most likely did not need the third). I personally don't see a real need for you to own both of these. Unless you love them so much that you want two bottles of nearly the same polish (if this is the case, don't feel bad, I am definitely keeping both of these, LOL). Next up, OPI Spark de Triomphe and China Glaze Medallion. 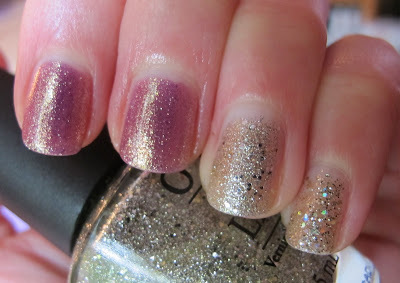 This is OPI Spark de Triomphe on the left and China Glaze Medallion on the right. Spark de Triomphe is more silver than gold, kind of a white gold really. Medallion is a true yellow gold. 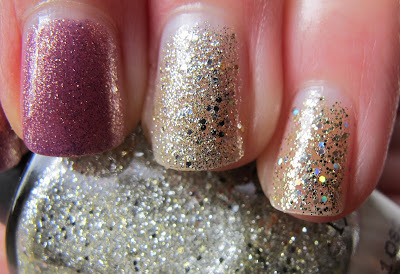 The glitter sizes are different, and Medallion contains large holo pieces of glitter, while Spark has no holo glitter. In my opinion, these are nothing alike and you should own both LOL. I have been a Medallion fanatic since it was first released. EK (former co-author of Never Enough Nails) is on her second bottle of Medallion and quite near ready for a third. I also absolutely ADORE Spark de Triomphe. It is gorgeous alone, or under it's White Shatter companion. 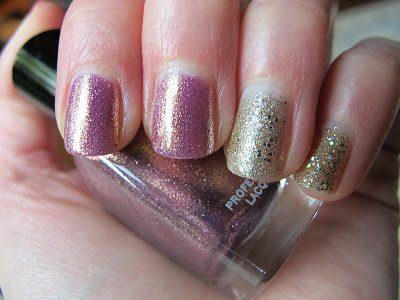 If you are a glitter lover, you will want both of these beauties! Zoya Faye, OPI Spark de Triomphe, and OPI Rally Pretty Pink were sent to me for review by PR agents for Zoya and OPI. For more information, please read my Disclosure Policy. So, do you have any big plans for the holiday? I had a five hour dance practice yesterday, so I'm resting up today. Tomorrow we're going to have a BBQ with just myself, my parents, my uncle (a veteran! ), and probably my boyfriend. Just relaxing and kicking off the warm weather! 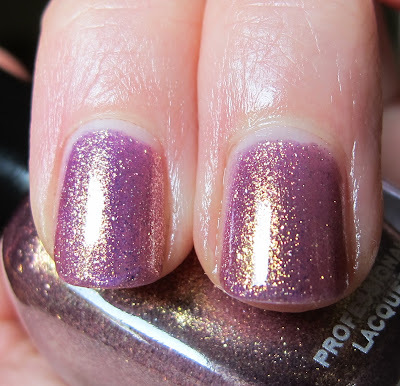 thanks for the comparison since i already have Zoya Faye i dont need that opi, but the serena england combo is a must have!!!! Zoay and opi aren't useful both seen the slight difference..
Next time I order Medallion, I probably should just order 5 bottles..it's basically the love of my life. You're welcome aaminah's mom! I agree about the England duo! I can't wait to get that! Rock-or-not- yea they are definitely too similar to own both, unless you want a back-up bottle! EK- lol you really should. What would you do if they sold out of them?